Welcome to Westgate Inn & Suites. The hotel is under new management dedicated to providing friendly legendary service, outstanding amenities and comfortable quality accommodations at reasonable rates. You will find a number of outdoor recreation areas, golf courses and entertainment venues in the Clarksville Montgomery County area. We are conveniently located just 7 miles from Fort Campbell Army Base and less than 1 mile from historic downtown Clarksville or Austin Peay State University. Just a short trip and you could be in Nashville “Music City” or the Nashville International Airport in one hour. 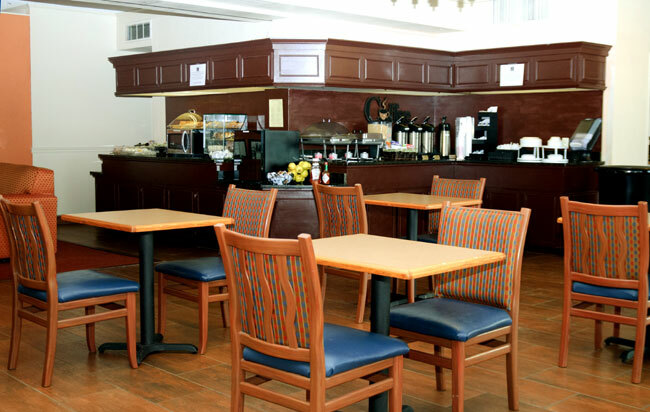 The Westgate Inn & Suites is within walking distance to a host of fast food and sit-down service eateries as well as the Cumberland Riverwalk. Other attractions just a short drive away, in and around Clarksville includes. Beachaven Vineyards & Winery, The Roxy Theatre, Governors Square Mall, Gateway Medical Center, Dunbar Cave State Park, Clarksville Speedway, Fort Donelson Battlefield, Fort Defiance, Customs House Museum & Cultural Center, and Historic Collinsville. Whether visiting the Clarksville area for business or pleasure Westgate Inn & Suites will make your stay a pleasurable experience. 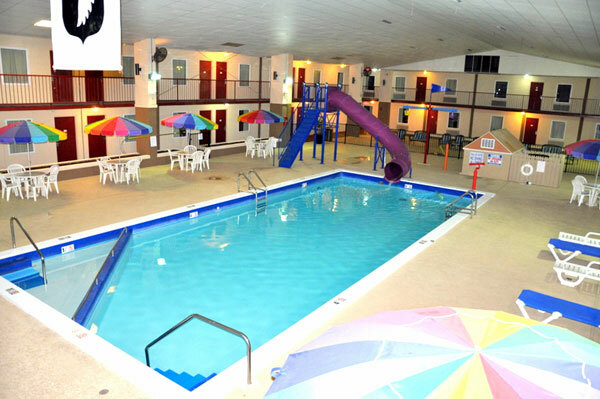 Westgate Inn & Suites guests can enjoy the following hotel services and amenities: Heated pool with water slide, water pad & other waterpark features. A 24 hour fitness center, meeting room (100 ppl capacity), free wireless high-speed internet (WiFi), 24 hour business center with ATM, fax, copier and internet access. 24 hour room service, extended stay customization, monthly guest appreciation socials with food, entertainment & beverages. Your morning breakfast is full of hot and delicious options, making breakfast at Westgate Inn & Suites the perfect way to start your day. Daily options are often but not limited to: Eggs, meat options, biscuits & gravy, waffles, a variety of pastries, bagels and bread. Yogurt, fresh fruit and cereal are also available along with several varieties of gourmet coffee, juice, milk and hot tea. In our spacious, rooms guests will enjoy: contemporary decor, granite counters, flat-screen television, coffee makers, iron & ironing board, hair dryer, cable television with ESPN, CNN, Fox News & free HBO, refrigerator & microwave, spacious work space, unlimited local calls, premium brand shampoo, conditioner and soap. Individual A/C & heat, and wake-up service. 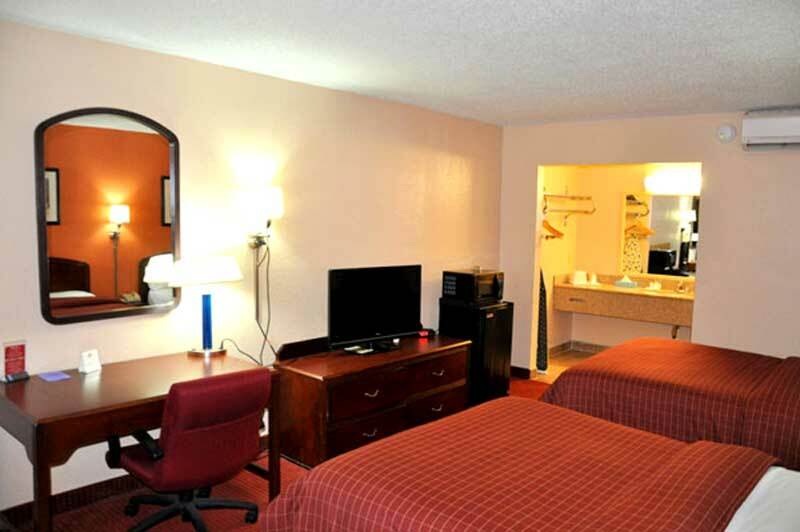 Whether traveling to Clarksville, TN for business or pleasure, Westgate Inn & Suites is the perfect hotel for any guest. Our friendly, professional staff will go above and beyond to make your stay memorable. We look forward to welcoming you to Westgate Inn & Suites! Behavioral & Health Sciences Career Day, Morgan University Center Ballroom, 601 College Street, Clarksville, TN. Come out and talk to our staff about how you can begin a career with the Tennessee Department of Correction. Come join us for a fun and elegant evening of music, dancing, games, a silent auction, drinks, and MORE benefiting Chive Charities! The Clarksville Chive is hosting our third annual masquerade ball and we would LOVE for you to join us! The Great American Clarksville Gun Show will be held on Apr 13th-14th, 2019 in Clarksville, TN. This Clarksville gun show is held at Clarksville National Guard Armory and hosted by Great American Promotions and Great American Promotions Tennessee. All federal, state and local firearm ordinances and laws must be obeyed. Newly opened lounge with pool tables, games and a great selection of affordably priced domestic and import beer. Welcome to our great hotel in Clarksville Tennessee with affordable rates and cheap budget discount lodging. 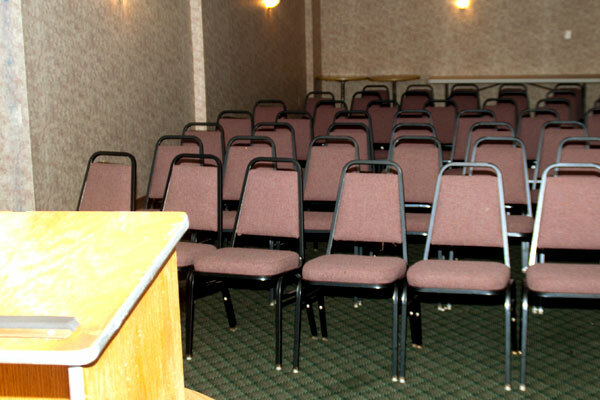 Westgate Inn and Suites welcomes you to our budget hotel in Clarksville Tennessee. Westgate Inn and Suites will provide you excellent customer service with great amenities in comparison to all Hotels and Motels in Clarksville Tennessee. Please visit us on your next stay in Clarksville Tennessee and let us provide you with 4 star hospitality for 2 to 3 star budget rates. Westgate Inn and Suites has been providing lodging and accommodations in Clarksville Tennessee for several years and looks forward to providing our valued customer and business traveler with the best service in Clarksville Tennessee for Hotels and Motels in our local area. Stay for 7 days or more and get a low rate of $41.99 per night on Standard Rooms. Refunds are at $89.99 per night adjustment. $20 per adult if more than 2 in a room. Stay midweek off each night with a 2 night minimum nights stay. Higher rates on weekends. Limited Time.